JL Anema is a flexible and well crafted Responsive Joomla template that offers a range of features, pre-design blocks, a bunch of components and plugins. 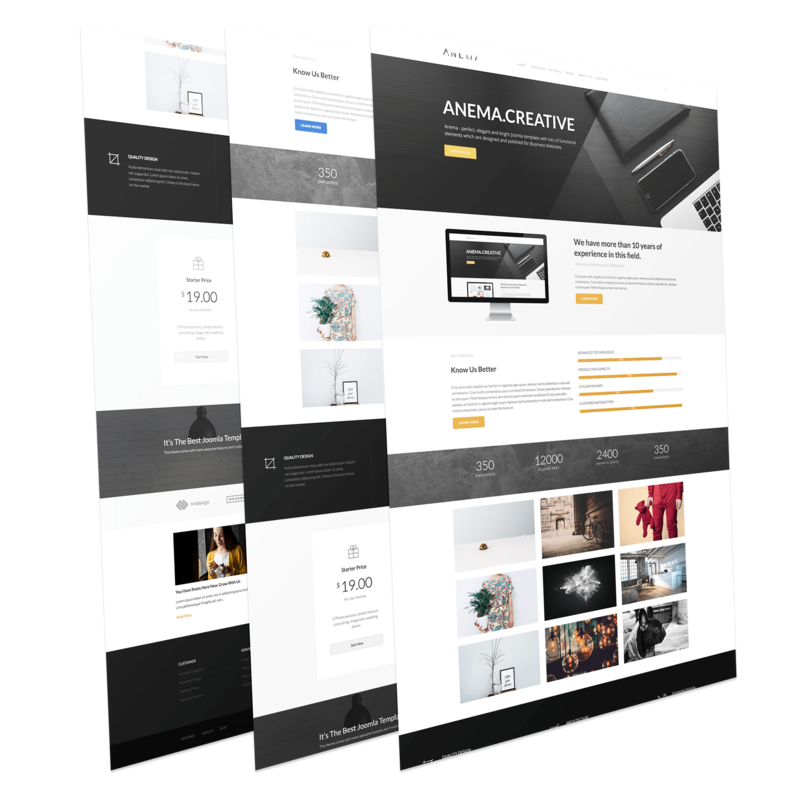 Anema allows you to build a unique and solid website that functions well on desktop, tablet and mobile. Anema is a full responsive Joomla template built with Uikit & Warp Framework. and much more, it’s better if you please check the demo site fully. If you need support, please send us a message using the contact form or Ticket System (Pro Customers). We usually respond to support requests within 12 hours on weekdays. Support request sent during weekends/holidays will be processed on Monday/the next business day. After the payment process you can instantly download the product from the Customer Area section. In addition, we will send you an email receipt with all order and download information, so you can check back any time in the future. Once your subscription expires, you will not be able to download, get updates or create new posts to get technical support in Ticket System. We accept Paypal and 2Checkout payment gateway. Credit card payment transaction will be taken care of by our trusted partners 2Checkout. They are truly professional with a very secure and reliable system. Ticket Support: : For PRO Edition Owners. Live chat: For pre-sale related questions. Join the Developer package and get our entire collection of Joomla templates for the price of a few. Access to all Joomla Templates & new releases.